Great coffee is our passion at Barista Del Caffe. Just as it is yours. We want to enjoy barista-style coffee at home, whenever possible. That’s the whole reason why this website exists. As a coffee lover, you know that freshly ground beans make the best coffee. And the best and easiest way to grind beans is with an electric coffee burr grinder. This guide is to help you find the right coffee burr grinder for you. One of the key factors in a great cup of coffee is correctly ground beans. There are a number of ways of grinding coffee beans, including blade grinders, hand grinders, and electrical burr grinders. Here, we’re reviewing the best electrical burr grinders. These guarantee a consistent grind that releases the delicious oils and aromas for the freshest cup of coffee. With prices ranging from around £35 to thousands, and there’s a wide range of options out there on the market. Finding the right one for you can seem impossible. That’s why we’ve created this guide to some of the best coffee burr grinder machines on the market today. What’s in our Coffee Grinder guide? We know that every coffee lover has their own preferred coffee type. Freshly ground beans are part of creating the perfect cup of coffee at home. But how you drink your coffee and how you brew it, will dictate how finely ground you need the beans to be. Every machine that we review here comes from highly regarded, reputable and reliable companies. Whichever one you choose, you can be confident that it’ll produce high quality, well ground beans. That’s why we consider not only the grind options each machine offers, but their ease of use and ease of cleaning, functionality, and the issues that real life users have reported having with their particular mode. While every machine on our list comes with our personal seal of approval, that doesn’t mean that a particular one is the right one for you. 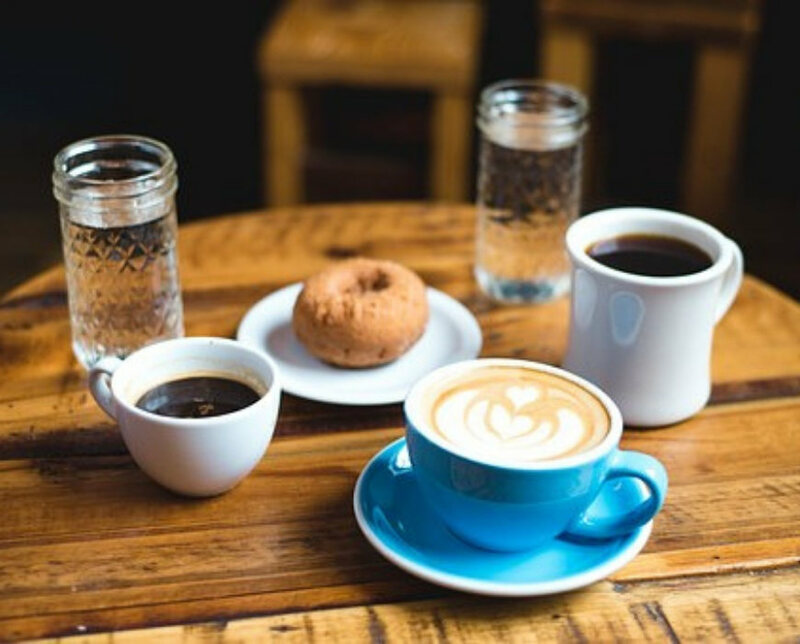 As already discussed, how you prefer to drink and brew your coffee will play a big role in your decision-making process. Budget is also a consideration for most of us, and there’s something for every pocket when it comes to coffee burr grinders. Here, we’ve focused on entry level to lower midrange options, which means they’re within the reach of most people. The cost indications included in the recommended list overview reflects the position of each machine in comparison to the other machines on the list, and without any discounts. A well recognised name in the coffee world, the Baratza Encore Conical Burr Grinder is the upgraded version of their Maestro machine. Described as an entry level machine, it’s priced as more of a midrange but, despite this price tag, it’s a regular appearance on best buy lists. The Baratza Encore Conical Burr Grinder has minimal dials and switches. In fact, it has just two dials and one switch. The dial around the hopper allows you to select your preferred coffee grind. The small side switch turns the grinding process on and off. The switch on the front of the machine is a pulse option. This is a manually operated grinder. It’s up to the user to turn the grind on and off, and judge when enough coffee has been ground. While the bean hopper is transparent, the grind collector isn’t. Both are removable. A portafilter cartridge can be used with this machine for making espressos without a mess. This coffee burr grinder offers a generous forty different options. It grinds coarsely enough for a cold press and finely enough for a high quality espresso. Just set your preference using the dial. It’s very easy to clean. Both the hopper and grind container can be removed for hand washing with soapy water. The burr is easily removable without tools and can be brushed clean with the supplied stiff brush. There is no automatic dosing function. It’s down to the user to judge how much coffee they need to grind, and how long it takes. This is made more complicated by the fact that the grind container isn’t transparent so the contents can’t be seen. While it’s possible to use a portafilter with this machine, it doesn’t attach to it, and has to be held in place manually. This is described as an entry level machine but has a price tag that could put some people off. The Baratza Encore Conical Burr Grinder is concerned with producing high-quality ground coffee. One way that it does this is through ensuring that the beans don’t overheat. 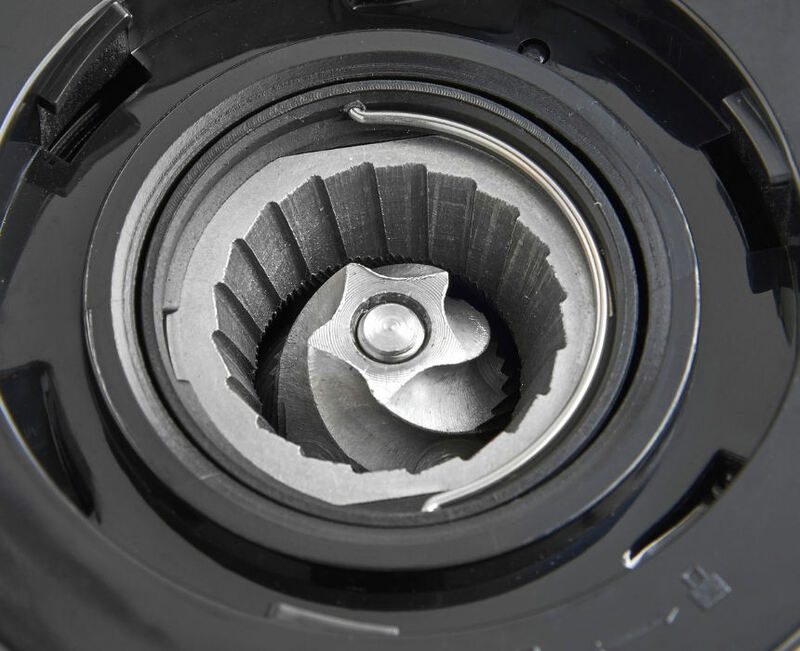 The grind speed is slightly slower than other burr grinders, and the thermoplastic gears prevent the beans getting hot during the grinding process. Whatever your preferred coffee type, this coffee burr grinder will produce the right grind for it, from the cold press to espresso. It’s simple to use, with minimal switches and dials. However, it’s a machine that requires more user input than most in this price range, as the user is required to judge how much coffee they need and grind accordingly. A recognised name in the coffee world, the De’Longhi KG79 is their entry-level coffee burr grinder. Despite its low price tag, it regularly features above other, far more expensive machines, on the best buy list. In this brief De’Longhi KG79 review, we’ll check out why. The De’Longhi KG79 is a really simple coffee burr grinder to use. It has just two dials and one switch. The dials control the grind fineness and the number of cups you want, while the switch starts the grinding process. With clear labels, the dials are easy to use. Once you set your preferences, press the on button, and this De’Longhi burr grinder grinds the selected amount at the selected fineness. The coffee ground collector is transparent, so you can see where in the process the machine is, and how much you have left once you’re brewing your coffee. Both the hopper and the bean collector are removable, for ease of use. The dial for the grind offers a gradient of grinds from coarse to fine, and everything in between. Just set your preference anywhere on the dial. It’s very easy to clean. The removable hopper and grounds container can be washed in a dishwasher, and allows access to the burr grinder. The upper coffee burr grinder is also removable and is cleaned using the stiff brush provided. This should never be allowed to get wet. Despite being described on Amazon as the De’Longhi KG79 Professional Burr Grinder, many users report that even the finest grind isn’t fine enough for a good espresso. Some also report that whatever the grind coarseness, the final result is inconsistent. This is a basic, entry-level machine, and you get what you see. There are no bells and whistles, just a coffee burr grinder that produces a decent grind for a decent cup of coffee. For those looking to find out if freshly ground coffee is for them, then the De’Longhi KG79 is a great place to start. It’s punching well above its weight for an entry-level coffee grinder, and regularly outpaces much more expensive machines. Simple and easy to use, even for novices. However, if you’re an avid espresso fan, this isn’t the machine for you. You’ll probably need to look at a more expensive machine that can offer a finer grind. A name well known within the appliances market for its quality, it’s not surprising that the Krups Expert CV231 Burr Coffee shares that reputation. Despite coming in at under £40, it regularly appears on the best buy lists. Let’s have a look why in this Krups Expert CV231 Burr Coffee Grinder short review. This entry level coffee burr grinder is very easy to use. In line with a range of other burr grinders, it features just two dials and one switch. Together the dials control the coffee grind coarseness, and the quantity, which ranges from two to twelve cups. The switch begins the grinding process, and can be used to stop it too. The dials are clearly labelled, making it easy to set your preferences without any fuss. Once set, simply press the start button, and this Krups coffee burr grinder grinds the chosen coffee volume at your chosen grind. The automated dosing programme means that it stops once the coffee volume is reached. The hopper lid also serves as a measuring tool for the 225g capacity bean hopper. It’s also a safety device, as the machine won’t operate if it’s not correctly fitted in place. The coffee grind container is also a safety device, and is removable for easy use. This Krups machine has an adequate seventeen grind setting options, which are set using the dial on the side. The grind may not be fine enough for true espresso lovers. Although the bean hopper isn’t removable, the upper burr is easy to remove for cleaning with a stiff brush. It’s reported that the narrow dispenser shoot can become blocked, and this can also be cleaned using the same stiff brush. As already mentioned, the hopper and grind container double as safety features. Should the slots that either of them sit in become clogged with loose coffee or beans, this can prevent the machine from working. This is easily solved by using a flat object, such as a table knife, to scrape out any residue. Both the hopper and the coffee grind container are small, with the coffee grind container holding 25g less coffee than the bean hopper. The bean hopper may need refilling and the grind container emptying if making twelve cups worth of coffee. For some users, this Krups coffee burr grinder may not produce a fine enough grind for espresso, and there are some reports that the on-off switch is prone to breaking after around a year. This is an entry level machine at an entry-level price. The only feature it offers is the dual safety device. The only functionality is being able to change volume and grind. It fulfills its function, but that’s all. For coffee lovers on a budget, this is a great entry level machine. It does exactly what it needs to do without any fuss. However, for espresso lovers, this may not be the machine for you. Krups has become a name known for quality in the electrical appliances sector. This Krups GVX242 Expert Pro Combi Grinder is no exception. A midrange machine, it’s a popular choice on best buy lists. In this short Krups GVX242 Expert Pro Combi Grinder review, we look at why. It’s very simple to use this burr coffee grinder. Like many other burr grinders, it has just two dials and one switch. One dial selects your preferred coffee grind. The other one allows you to choose any quantity from two to twelve cups. The switch, which lights up, starts the grinding operation. Clearly labelled, the dials are simple to use to set your choices. Then press the button, and this Krups Pro coffee grinder gets to work grinding your chosen amount of coffee at the correct grind. It stops when the volume is reached. The bean hopper lid doubles as a handy measuring tool, and a safety device. The machine won’t work unless it’s properly fitted. The coffee ground container is transparent and removable for ease of use. There are seventeen different grind options, ranging from coarse enough for cafetieres, to fine enough for espressos. Just select the option for your preferred brewing method. The Krups GVX242 Expert Pro Combi Grinder is fairly easy to clean. The hopper itself isn’t removable for cleaning, but the burrs are easily removed for brushing clean. The narrow dispenser shoot can get blocked and can also be cleaned with the supplied stiff brush. As already mentioned, the hopper lid acts as a safety feature. Should the slot where it sits become clogged, it may not sit properly. This can be remedied by cleaning it out with a flat object, such as a table knife. The only real drawbacks relate to the hopper, which is small at 200g. It’s not removable, making it difficult to change beans. It’s also fairly noisy, and some users find the switch difficult to operate. When it comes to the Krups GVX242 Expert Pro Combi Grinder the word Pro is appropriate. The burrs are professional milling quality, meaning that it produces a grind that’s fine enough for even the pickiest espresso drinker. For espresso lovers on a limited budget, this is the perfect machine for you. It delivers exactly what it promises: a great cup of coffee without any fuss. Simple to use, it’s also compact and small enough for any home. The only drawbacks relate to noise levels and the hopper, but these are very minor inconveniences, which are outweighed by the bonuses. With the well known Heston Blumenthal putting his name to this coffee burr grinder, it should be no surprise that this is an all singing, all dancing machine. A regular feature on the best buy lists, it boasts an impressive 4.5 star rating on Amazon and similar sites. In this brief Sage by Heston Blumenthal Smart Grinder Pro review we’ll see why. This Sage Pro coffee burr grinder is surprisingly simple to use given the controllability and functionality it offers. There is one dial, and three switches that together provide hundreds of different settings for the perfect coffee grind. Use the dial to set how you plan to brew your coffee. You have the choice of espresso, filter, cafetiere and percolator. The machine has automatic settings for each, but you can change these to match your preferences if you want a coarser or finer grind. One button sets the grind, one the time the grind will take, and one the number of servings you want. Both the bean hopper and the coffee grind collector are airtight, to maintain the freshness of the coffee before and after the grind. For espresso lovers, the grind container can be replaced with a portafilter cartridge, removing any mess or fuss. Both the hopper and the grind collector are removable for ease of use. The Sage by Heston Blumenthal Smart Grinder Pro offers an impressive sixty different grinds, from very fine to coarse. These can be set automatically by selecting your brewing method, or set manually using the buttons on the front. This Sage coffee burr grinder is very easy to clean. The removable bean hopper allows easy access to the burr, which can be removed for brushing clean with the supplied brush. The grind collector is also removable. None that we could find. This is a pretty flawless machine. Where to start? Its Intellidose system guarantees the perfect serving of coffee every time. The Smart Shot system allows for no-fuss espresso making. As well as the automatic settings, the grind is fully customisable, and the LCD display clearly displays the selected settings. The bean hopper holds a more than generous 450g, and its airtight design keeps them fresh. If you’re looking for ultimate controllability and a range of functionality and features, this is the machine for you. The Sage by Heston Blumenthal Smart Grinder Pro offers more options than you could shake a stick at. The only consideration could be its price tag. Despite being a British company, VonShef isn’t yet a household name in the UK. However, it hasn’t stopped the VonShef Premium Burr Grinder becoming a regular feature on the recommended coffee burr grinder lists. Although it’s an entry-level machine, it often beats more expensive models. The VonShef Premium Burr Grinder is very simple to use. It features just two dials and a switch. The top dial, which sits below the hopper, sets the fineness or coarseness of the coffee grind. The lower dial sets the volume. And the switch starts the grinding process. It can also be used to stop it. With clear labels on each control, they’re easy to use. Simply set your preference and press the start button. This VonShef burr grinder will produce the chosen grind and volume and stop automatically once completed. The coffee ground collector is transparent, making it easy to see how much coffee has been ground, and how much is left once you’ve started making your coffee. Both the hopper and collection box are easily removable. The VonShef Premium Burr Grinder offers eighteen different grind options, from coarse to fine, which are clearly labelled. It’s fairly easy to clean. The hopper and grounds container is easy to remove and can be washed in warm, soapy water. Removing the hopper gives access to the burr grinders. The upper one can be removed for cleaning with the stiff brush provided with the machine. However, you’re likely to find that removing the upper burr can be a fiddly process. Although the name of the machine includes the word Premium, it is an entry-level coffee burr grinder, and this is reflected in the fineness of the grind. Espresso lovers report that they’re not a good enough quality to produce the fineness of grind necessary for a decent espresso. As already mentioned, this is a basic coffee burr grinder, and it does its job without any additional features. The VonShef Premium Burr Grinder is a great machine for those considering whether freshly ground beans is the way to go for them. Although an entry-level machine, it regularly outrates much more expensive options. It offers a simple solution for the most inexperienced of coffee grinders. However, if espresso is your thing, this machine won’t be right for you. You may well need to look at a more expensive option that can provide you with the fine grind you need. Why should you grind your own beans? Simply put, because freshly grinding your own beans is the best way to get a perfect cup of coffee. Coffee starts releasing oils and aromas the moment the beans are broken up, and quickly becomes stale. Grinding your beans fresh doesn’t allow the time for these to disappear. While pre-ground coffee may be hermetically sealed in foil bags, this doesn’t prevent the beans from tasting stale as the oils evaporate. Within just a couple of weeks of purchasing pre-ground coffee, you could find yourself enduring a bitter coffee with little aroma. When you’ve filled the bean hopper, it can be tempting to use all the beans and make enough coffee grinds to last for the day or week. As already mentioned, once beans are ground, the flavours start to deteriorate and it can quickly start to taste stale. That’s why it’s always best to grind your coffee fresh for every cup. 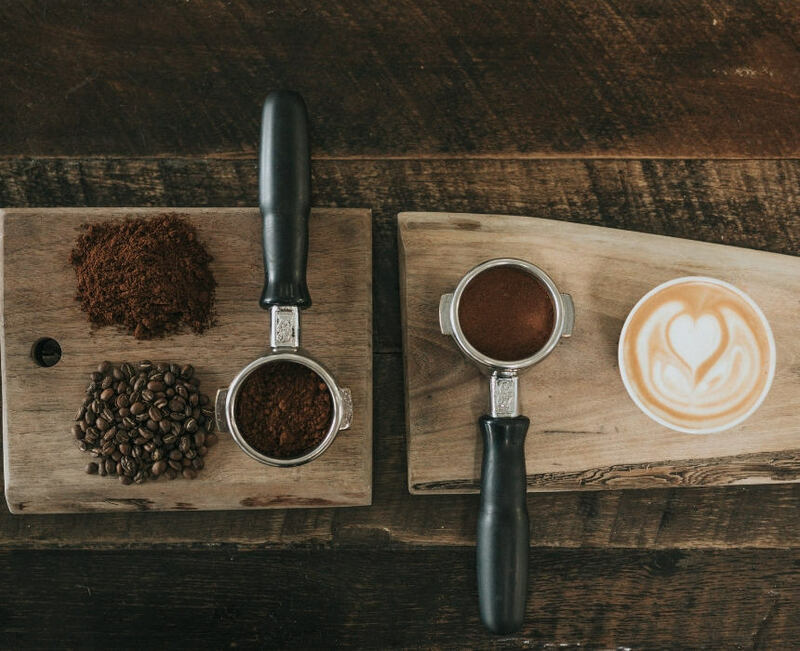 With most grinders producing enough coffee for your preferred cup in less than half a minute, there’s no reason not to grind your coffee freshly for every cup. We’ve already mentioned that there are different ways to grind your coffee at home: hand grinders, blade grinders, and burr grinders. Hand grinders can require a considerable amount of effort to produce any volume of coffee. You should get a consistent grind, but getting a grind fine enough for espresso will take some elbow grease. While blade grinders are easier to use as they’re electric, they chop at the beans rather than grinding them. It’s not a particularly accurate way of grinding coffee, as it depends totally on the length of time the machine is operated for. The results can also be inconsistent, and you’re unlikely to get a decent enough grind for espressos. In contrast, electric burr grinders produce a consistent grind in a way that squeezes and releases the delicious oils and aromas from the beans. They also generate very little heat, so protect the flavour of the coffee as they grind. 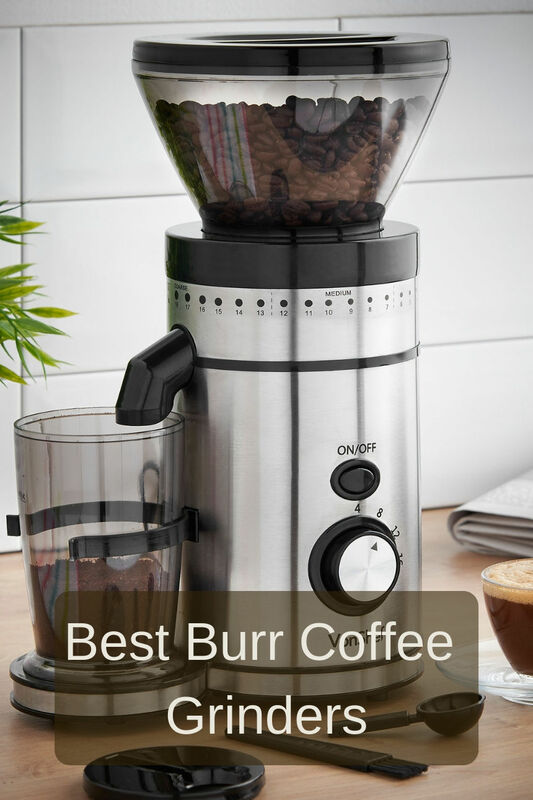 How much can I expect to pay for a coffee burr grinder? Coffee burr grinders can vary enormously in price. The ones in this guide range from around £35 to a little under £200. You can certainly pick up a reasonable one for under £100. In addition, many retailers offer good discounts too, making it easier to get a good grinder at a great price. The more expensive the machine, the more adjustable the grind, and the more likely you are to get a good espresso grind. When it comes to a coffee burr grinder, your main consideration should be what kind of coffee you enjoy, and your preferred brewing method. This is particularly important if you’re an espresso fan, as many cheaper machines cannot produce a grind fine enough. As you can see, the cost of grinders can vary enormously. The ones we’ve reviewed are all at the basic to lower midrange level, but still vary more than £150 in price from cheapest to most expensive. We all have a budget. When it comes to grinders, it’s probably worth investing the most that you can afford to get the grind that’ll make your beloved cup of coffee. More expensive machines are also likely to be more durable and so a better investment. The grind is one of the key factors when it comes to making a great cup of coffee that matches your preferences. How you like your coffee served dictates the grind you need. Even the cheaper machines offer a range of grind types, usually around eighteen. The more expensive machines have tens of settings, for really precise grinds. We live in a digital age. This is a real bonus when it comes to making purchases. You can easily hop online and find out what real users think of their burr grinders. 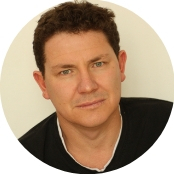 Don’t just look at the professional reviewers. You’re not sure of quite how impartial they are. Instead, get onto retail sites such as Amazon. The one and two star reviews are the best places to find out what any common problems with a particular machine are. It’s even worth checking out the four and five-star reviews, as these may also highlight some more minor issues. How involved do you want to be in the grind process? 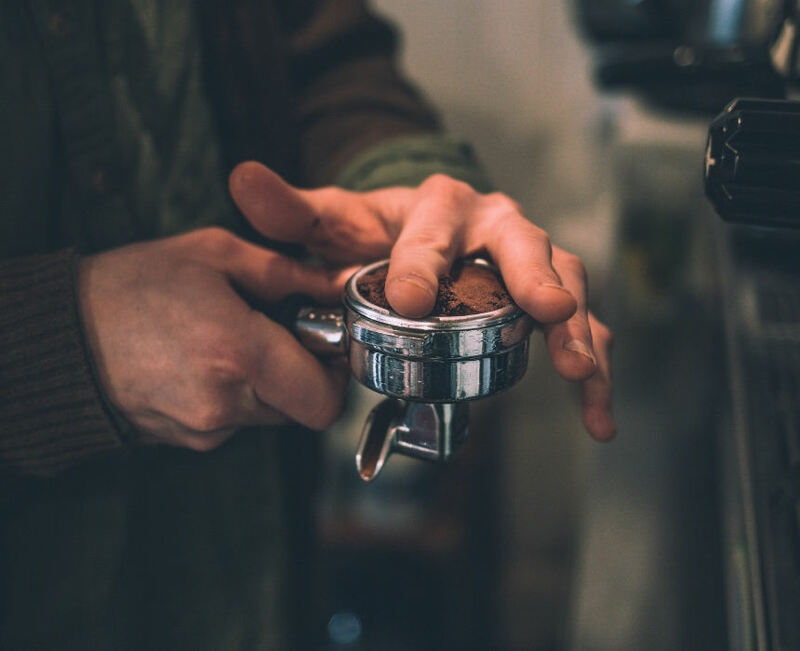 Most grinders have automatic dosing programmes, that should guarantee the right amount of coffee for the number of cups you want to make with the touch of a button, although this isn’t always guaranteed. However, some coffee grinders do require you to control the volume of coffee produced. It can take trial and error to get this right. Is that something you want to do, or do you want it all done for you? Cleaning is an essential part of keeping a coffee burr grinding machine in good working order. This is especially important when it comes to the burrs, the part doing the work. These usually need brushing clean with a suitable brush – and are frequently provided with the machines. The burrs will need removing to clean them properly Often there’ll be YouTube videos showing you how to clean them. It’s worth watching these to see how easy it is to get to them and remove them. Well done if you’ve made it to this point! At Barista Del Caffe we aim to provide you with all the information you need to decide which coffee burr grinder machines are right for you. Now you’ve got all the information, you should be in a good position to choose the one that’ll meet your needs. So now you’re ready to get grinding, for the freshest cup of coffee you’ll ever enjoy.